Unbelievably creamy, refreshing, and possibly even borderline healthy, these vegan tarts are made with cashews, avocado, and loads of lime juice. 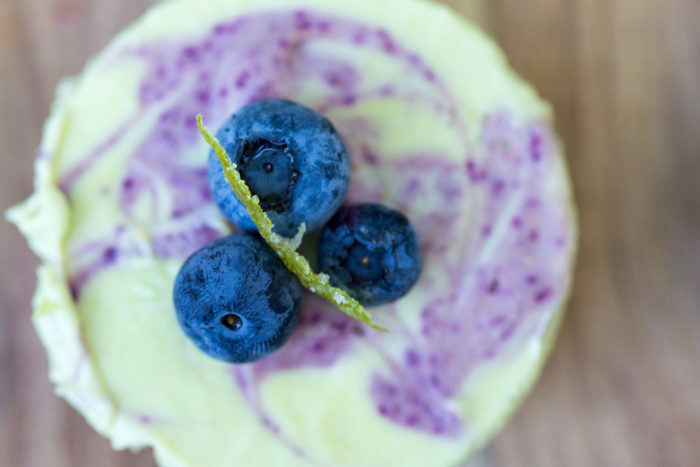 A pureed blueberry swirl adds even more summery flavor and gorgeous color to boot. My final assignment for my six-month plant-based culinary course was to host a canapé party. Not just any canapé party, of course, but one that was entirely plant-based – no meat, dairy, or eggs. It was all about demonstrating some of the new tricks and techniques I’ve learned in this program. Just a refresher – I don’t eat meat and I can’t eat dairy, but I do eat eggs. I still cook meat for my husband and daughter. So basically, we’re all over the place. I have been wanting to expand my culinary horizons for quite awhile, but traditional culinary school didn’t make sense for me at this point in my life. So I opted for this online program, and I’m so glad I did. I’ve learned a ton – not just about plant-based cooking, but about cooking in general. And I’m so excited to take this knowledge and apply it to past and future recipes – both plant-based and omnivore-friendly. Plus, I am so inspired! I have so many recipe ideas swirling around that my head is spinning. But back to the party! I developed and served five “small bite” recipes that I was really proud of. Like, really really proud of. My wonderful friends and family – most carnivores (one may or may not have eaten a steak before coming over – hi Megan! Love you!) 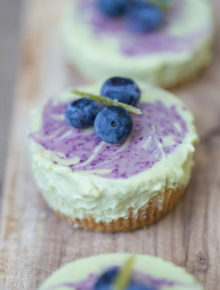 enthusiastically dove in to watermelon and tofu feta skewers, cucumber slices with raw sunflower seed pate, Bloody Mary gazpacho shooters, a basil-oil-drizzled summer risotto, and, finally, these vegan key lime pies. I adore every single one of these recipes, and of course I am looking forward to sharing some with you. And, so, we’re going with dessert first. Because why not? 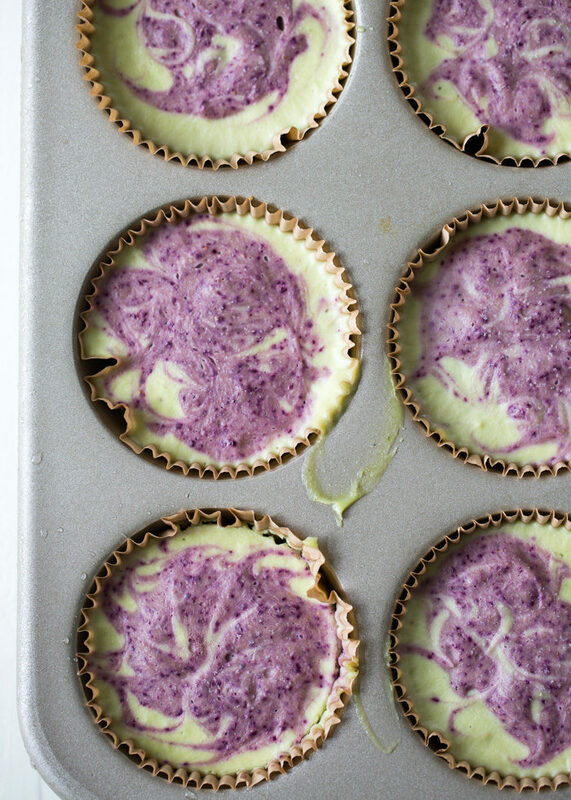 These Frozen Mini Blueberry Key Lime Pies start with an unusual base. I loved telling my friends that they have avocado and cashews in them – not something most people would expect in a dessert, but oh, the glorious outcome. Dreamy, creamy, zingy, refreshing, decadent. These aren’t just my favorite vegan dessert ever, I think I have to say they’re my favorite dessert ever. 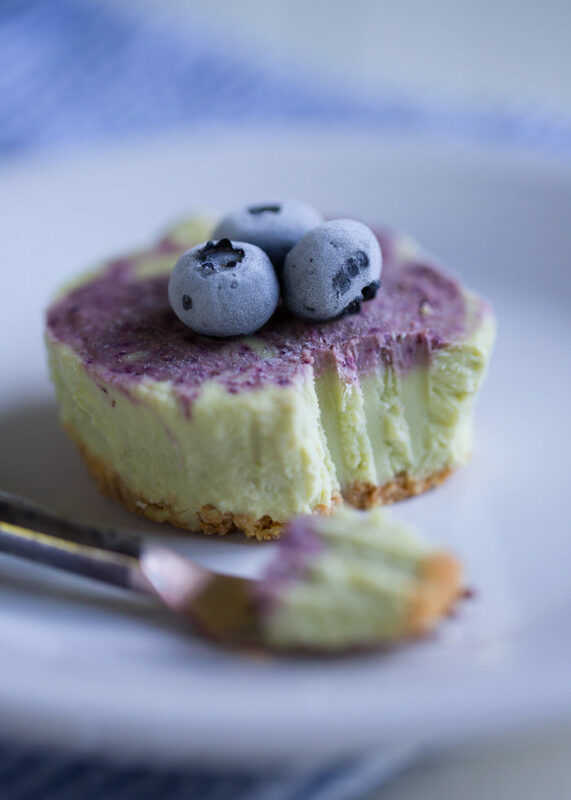 I was inspired by this absolutely freaking stunning key lime pie from Yummy Mummy Kitchen. I followed her lead by using soaked cashews, avocado, loads of lime juice, lime zest, and agave nectar. I also added a good dose of coconut cream – you know, that delicious stuff skimmed off the top of cans of coconut milk. 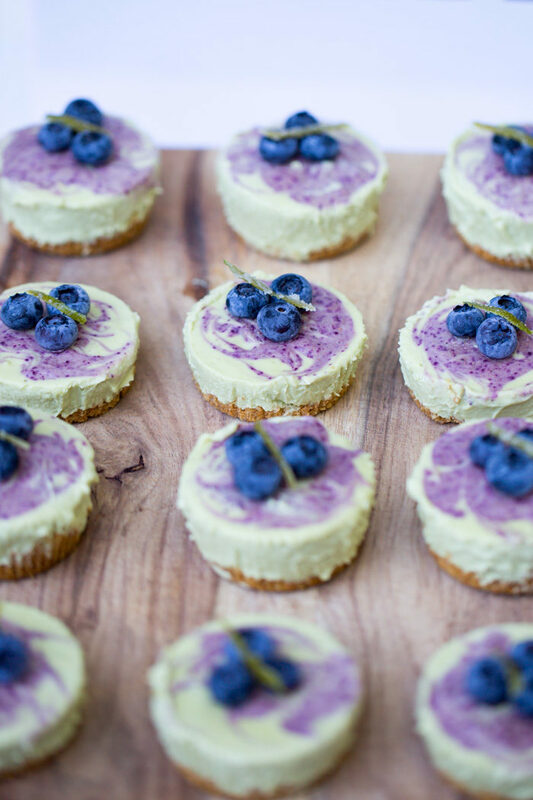 I poured most of the key lime pie base over little graham cracker crusts in muffin tins, but reserved a bit to blend with a handful of blueberries from the garden. Then I swirled it on the top. So pretty! And a little messy. Because I’m me. After these babies have been frozen, you simply pull them out of the freezer for a few minutes, peel off the wrapper, garnish if desired, and serve. You can eat ’em with a fork, you can eat ’em with your hands, you can eat ’em … I don’t know, I thought I was going to have a Dr. Seuss moment but I lost it. Probably a good thing. Garnish with fresh blueberries and even a bit of candied lime peel if you like (I did for the party, because I felt like being extra fancy and stuff). 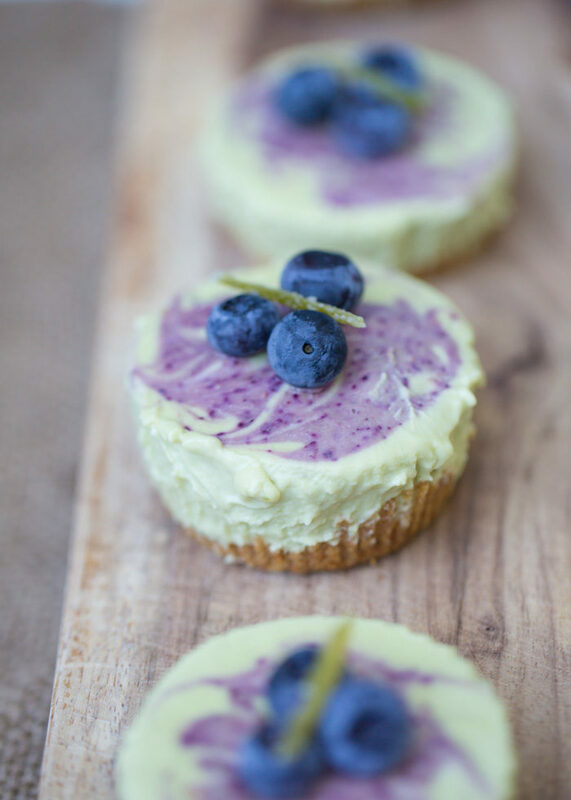 Seriously, these vegan key lime pies are the perfect party dessert, because all you have to do is pull them out of the freezer, garnish, serve, and get back to drinking wine with your guests. Which is exactly what I did – the school said I had to, after all, and I am nothing if not an obedient student. Preheat oven to 350 degrees Fahrenheit. Line a 12-cup standard-size muffin tin with paper liners. Place graham crackers in a gallon-size zip bag and seal. Using a sturdy glass or a rolling pin, crush until they’re crumb consistency. Pour into a medium bowl and add the sugar. Stir to combine. Pour in the melted butter. Stir until combined. Add one heaping tablespoonful to each muffin cup. Using your clean fingers or the bottom of a small glass, press the crumbs firmly into the bottom of the cup. Bake crusts for about 4 minutes, until the crust has hardened a bit. Remove from oven and set aside to cool completely. I’m usually impatient and let them sit on the counter for about 5 minutes then off to the freezer for another 5 minutes to finish cooling. 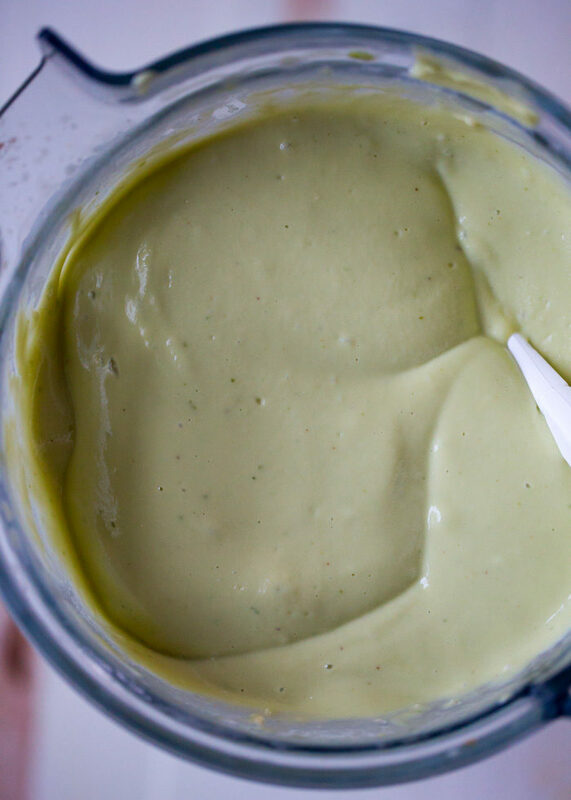 To the pitcher of a high-speed blender, add cashews, lime zest, lime juice, avocado, coconut cream, and 1/2 cup agave nectar. Puree until completely smooth, 1-2 minutes. Taste and add additional agave nectar until the filling has reached the sweet/tart balance that you prefer. Remove 1/2 cup of the filling and set aside. Divide remaining filling among the cups and shake a bit to level them. Add the 1/2 cup reserved filling back to the blender along with the 3/4 cup blueberries. Puree, scraping the sides if needed, until smooth. Pour a bit of the blueberry filling on top of each mini pie. 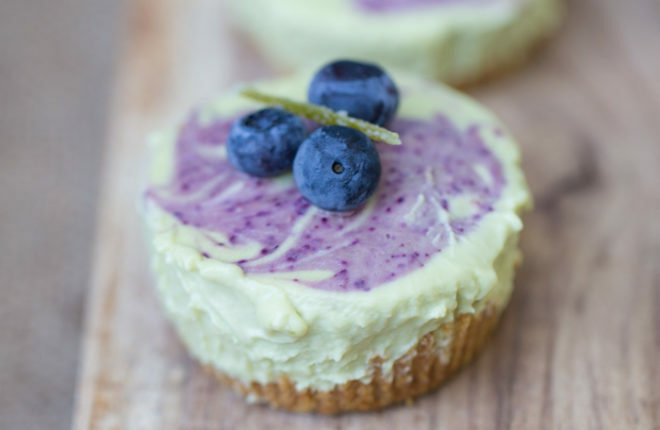 Use a toothpick to swirl the blueberry top over the key lime filling. Transfer to freezer. Freeze for at least 4 hours, or until firm. To serve, remove tin from freezer and let sit for 10 minutes. Carefully use a butter knife to pry the mini pies out of the tin. Peel off the liner and set on your serving tray or plates. Garnish as desired and serve at once. * Prep time includes 4 hours in the freezer. ** You can speed up the soaking process by a few hours by pouring boiling water over the cashews and soaking them in that. *** I used this recipe for the candied lime peel. These are so cute! the perfect end of summer dessert!